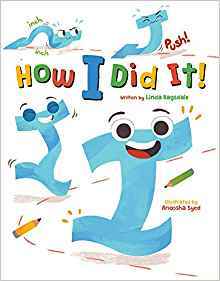 Linda Ragsdale is the author of two new children's picture books, How I Did It and Alphabetter. 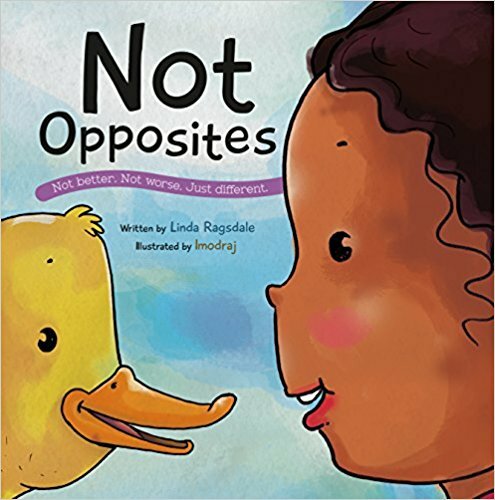 Her other books include Words and Not Opposites. A peace educator, she is the president of the group The Peace Dragon. Q: How did you come up with the idea for How I Did It, and what do you hope kids take away from the story? A: You know those choices you’ve made where the consequences feel like giant scribbles all over your life canvas? That’s how I was feeling at the time I wrote How I Did It. We all have those moments. Through the tale, [the story's protagonist, the letter] I started out with a goal to be rounded like J; after the fall, initially I can’t see how well rounded I became. I went beyond achieving just the slight curve of the J. Through this journey, I wanted kids to understand that even though we sometimes have a goal in mind for ourselves, whatever the results of our trying, they can be greater than we ever imagined, and lead us onto grander adventures. My goal is to have children looking for the positives. This is a prevalent underlying theme in my books and truly a life motto, too. I think the oddest note about this book, is how I needed it to be in my head and heart for some of the bigger challenges coming in my own life. As authors, sometimes our stories help us navigate through an issue at hand, as this story did, but it also confirmed a message I needed through the terrorist attack and eventually cancer. Q: Alphabetter and How I Did It are part of the Peace Dragon Tale Series. What does the series hope to accomplish? 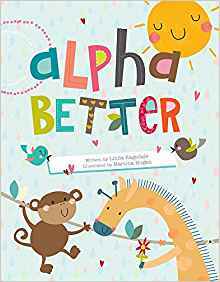 A: Alphabetter is a follow up to Words, from the first release of The Peace Dragon Tale Series. 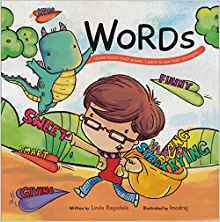 The book Words takes on the challenge of name calling by encouraging kids to call people names – kind names. Words have a positive power and by redirecting word choice to an affirmative approach, we’re opening a path to more constructive thinking processes. Words also reveal the power of language to encourage, inspire and repair relationships with others and ourselves. Alphabetter explodes with the silly and playful possibilities of our language to amp up their positive energy. The use of portmanteaus expands vocabulary and introduces an awareness of the sounds and syllables. Voice is a key skill in teaching and finding peace, and The Peace Dragon Tales present words as a powerful peacekeeper. Ultimately, how ubice (uber + nice) with our words can we get? Q: How did you invent the words in the Alphabetter dictionary? A: All words come into play because of a need. I needed a word to help kids feel beyond amazing- so Beyazing came out during a school presentation. When I was working with a community group, we were talking about an event to establish a more compassionate vocabulary, a compabulary, to unite our city. The event was born, and the tickle to keep creating new words took hold. While using Words to teach peace, I put up the challenge before school visits for students to create their own words – Upwords, words to compliment, encourage and inspire. Kids were involved with language, sound, and syllables. Each classroom presented a word, but children made it a point to come to share their personal words with me. They were so proud! You’ll find a dedication of appreciation to one of those schools in the front of the book. I’m composing a page on my website for all the words and any additional words kids (and teachers) have submitted. I’ve even taped some of the pronunciations! I do want to take a moment and talk about the “peace compabulary” that runs along bottom of each page of Alphabetter. These mixed words offer an opportunity for parents teachers, librarians, to create a 26-week reflection whether in a discussion, as writing prompts or weekly goals on the ideas that offer an inroad to finding and keeping peace. Q: What do you think the illustrations (by Anoosha Syed and Martina Hogan, respectively) add to the books? A: I cannot give enough praise to the brilliant illustrators. Their spirited work amplifies the message and words with their unique styles. Their art is the call from the shelf that beckons people to even open the covers. They’re the visual voices of the message, tone and emotional impact of the books. A: The next two releases are very personal and are the heart of my peace work. The year 2018 will mark the 10-year memorial of me being shot in a terrorist attack in Mumbai. Two of my friends, Alan and Naomi Scherr, a father and daughter, were killed that night at our dinner table. The Peace Dragon Tale was the story that came to me while I was healing from my wound. It’s a “heart” warming romp of friendship, and offers a path through some of the fears and fires alight in the world today. I’m so excited for Omani the Peace Dragon to make her debut! And wait until you see the art! The little boy and the dragon were written in honor of my two friends. Sherwyn is the name of the little boy, and if you look at the name Omani, it’s Naomi’s name all jumbled up. It was also our favorite chant, Om Mane Padme Hum, a tune we were singing together hours before we were shot. We laughed at how off key we were. Naomi is also why I named my organization The Peace Dragon, as she had asked me to teach her how to draw a dragon earlier that day, and I didn’t get to do it. I’ve drawn well over 27,000 Peace Dragons all over the world, all with empty hands, so the artist can decide what gift their dragon will bring to the world. The second title is drawn from real life about a Polar Bear who turned purple after getting some medicine. I heard about Pelusa a very long time ago, and had always kept the story in my heart, wanting and waiting to find the way to tell her tale. In Positively Purple, Jeli the polar bear turns purple after her medicine. Visited by her zoo friends, they share their colorful feelings, all to help Jeli deal with her “purple- ness.” It’s a frolic in fun with a message of hope. As a survivor of stage three breast cancer, I lost my hair during treatment, it was my purple time! 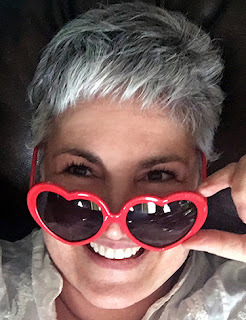 I’m hoping to help kids and adults start conversations about how to move through life’s challenges that may make us feel different and alone, and on a more direct note, how to address being a patient and the friend of a patient. A: I’m a full believer in Happily, even after. (It’s also the name of my upcoming autobiography!) Stories are a gift to every generation providing paths to resolution and resilience and a safe path through our emotions by experiencing them through the safe distance of the characters in a book. The Peace Dragon Tale Series books weave the threads of the peace skills View, Voice, and Choice subtly through the lines of the tales with a goal of learning to see and speak to ourselves and the world with compassionate, and make loving choices knowing the consequences effect us and those around us. 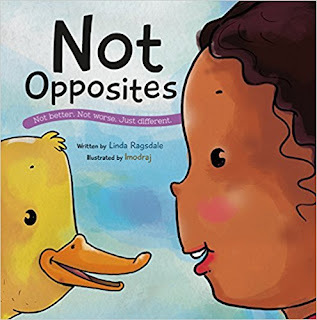 I teach these ideas through The Peace Dragon, my non-profit organization, which has just reached over 37,000 students and adults from countries all around the world with this peace message. Flowerpot Press has given these books wings to travel further and into more hands and hearts. Thank you for also giving wings for these ideas!